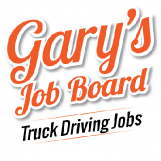 23 years of age 1 year verifiable CDL Class A experience within the last 3 years or 5 years verifiable CDL Class A experience within the last 10 years. We highly welcome Professional,Veterans drivers. No loading/unloading...drivers simply hook and drop. - Drivers must have a Valid CDL A license (double endorsements a must). - Drivers must have no more than 1 traffic violation (less than 14 mph over the posted speed limit) within the past 12 months. - Complete on-line application and Dolly Training, drug screen and Road Test. If you have a CDL A and you are SERIOUSLY interested in this opportunity, please contact us immediately.